Great smoke, nice, smooth and of coarse a great price. This cigar is similar to others in the Exodus 1959 line in taste and construction, A very flavorful, full body smoke with notes of coffee and cocoa. My only complaint is that the wrapper is thin and tends to unravel about halfway through the smoke. except construction. all is good. 1 of 3 was bad. the flavor and aroma was fantastic. if whole stick has good construction. it would be good. 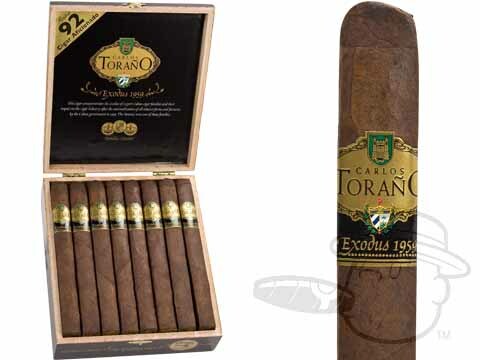 Carlos Torano Exodus 1959 Double Corona is rated 4.3 out of 5 based on 6 customer ratings.